Creative Easter ideas and unique gifts make this beautiful spring holiday even more special and interesting. 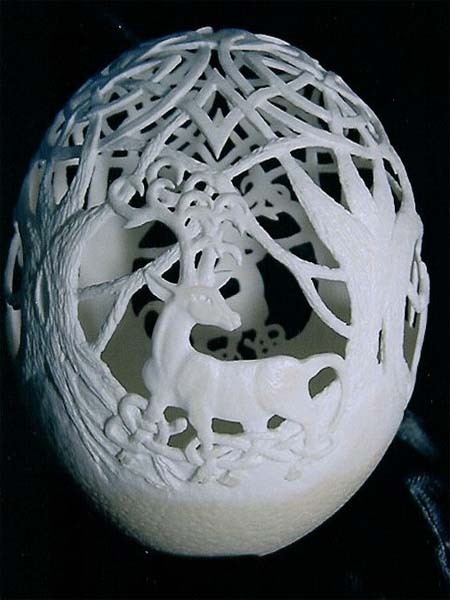 Amazing egg shell carving designs turn empty egg shells into beautiful home decorations that are perfect for Christmas and Easter home decorating. Eggs are meaningful Easter decorations, and amazing egg shell carving designs add the warmth of skilled hands to these beautiful symbols of life. Stunning home decorations made of empty egg shells make wonderful eco gifts for Easter and Christmas, birthdays and special family events, symbolizing the new beginning, harmony and happiness. 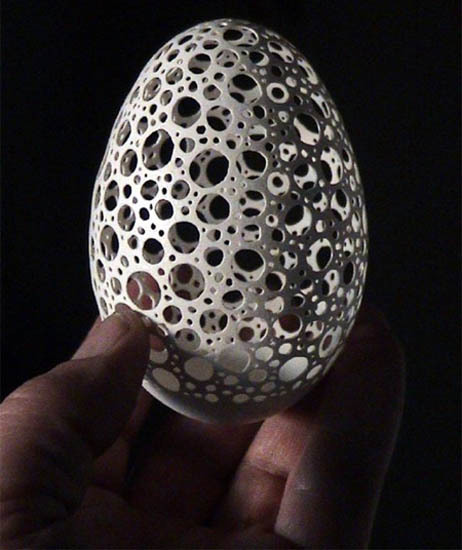 Modern artists who create striking egg shell carving designs are Lew Jensen, Don Lisk, Gary LeMaster and Brian Bayti. 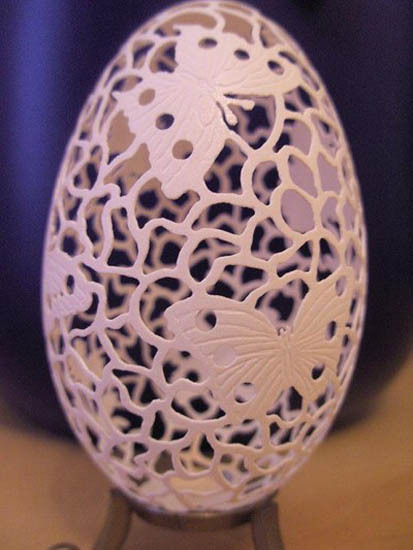 Their egg shell carving patterns look just incredible, demonstrating outstanding craft skills, great patience and amazing abilities to create a fragile structure of such a brittle material like egg shells. Modern artists carefully and gently blow out the egg liquid, thoroughly wash and dry empty egg shells and draw the egg shell carving pattern with a pencil. This outline drawing helps to create intricate egg shell carving designs that delight and turn empty egg shells into wonderful home decorations or art masterpieces. 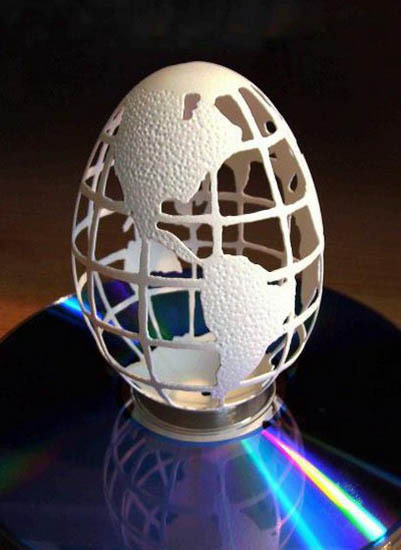 Egg shell carving designs vary in difficulty levels and can be created on large ostrich eggs or small chicken and duck egg shells.